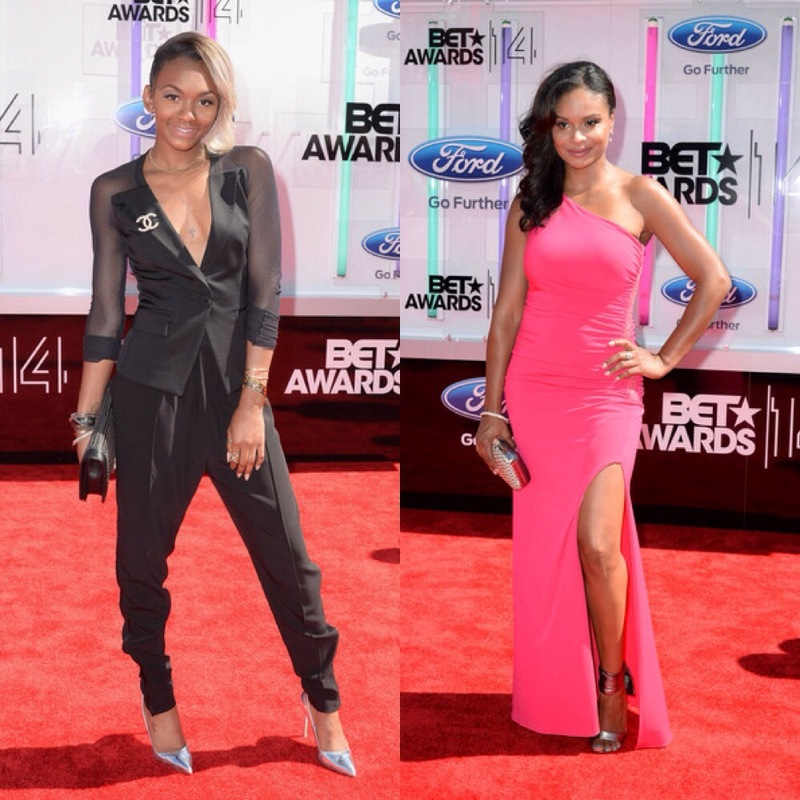 2014 BET Awards: Red Carpet Looks! Scandal star Kerry Washington looked great in a strapless Dolce & Gabbana floral dress paired with white pointy pumps and green clutch. Tamera Mowry-Housley wore a navy blue front zipper Yigal Azrouël dress. Tamera rocked the navy but the colour of the night was definitely stark white. New mom Eva Marcille wore a white hot Sin Couture gown. Amber Rose also opted for white in this gorge gown with silver belt. Regina Hall proved she can rock a pantsuit like no other in this chic white tuxedo. Gugu Mbatha-Raw rocked an elegant, high-neck white dress by Jason Wu.